Wowsers, this is an old post. I wrote this a while back but for some reason it sat in my list unpublished for six months. I did want you to see this because it was an easy project that was almost free. 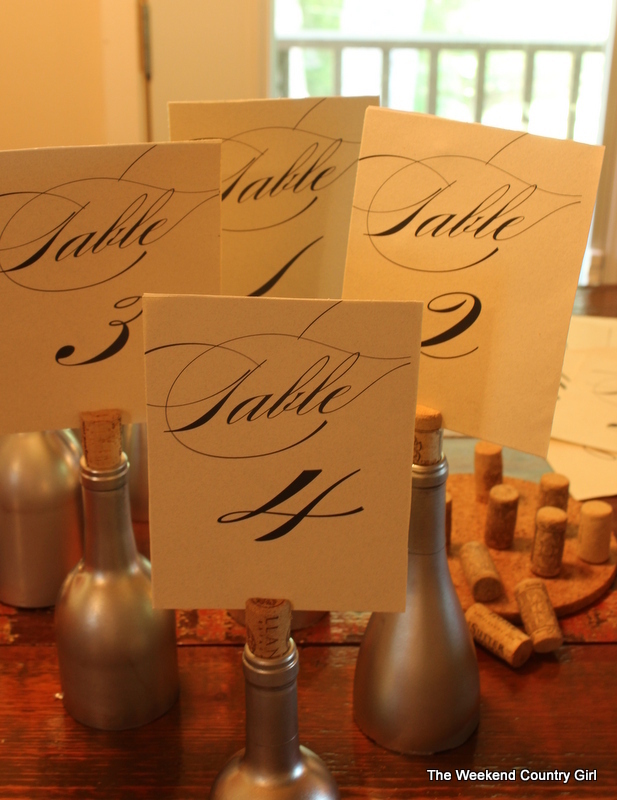 We made table number holders for my daughter’s wedding using recycled wine bottles. 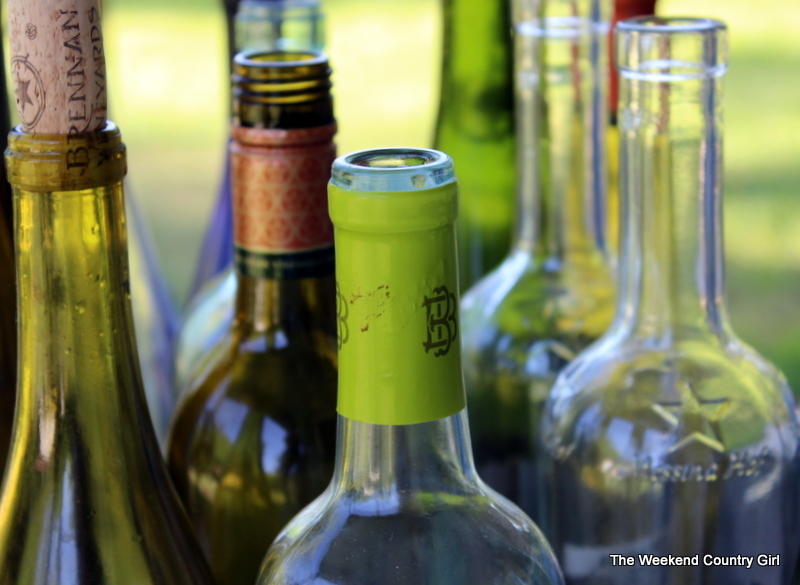 The first thing needed was to round up some wine bottles. 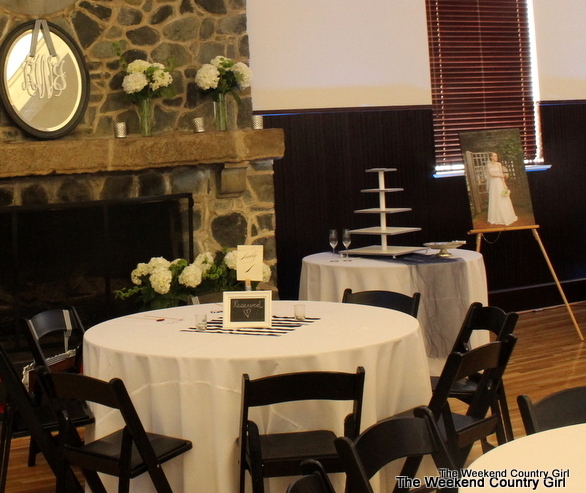 We cut the wine bottles with a bottle cutter because we wanted them to be low enough that they did not interfere with the flowers on the tables. 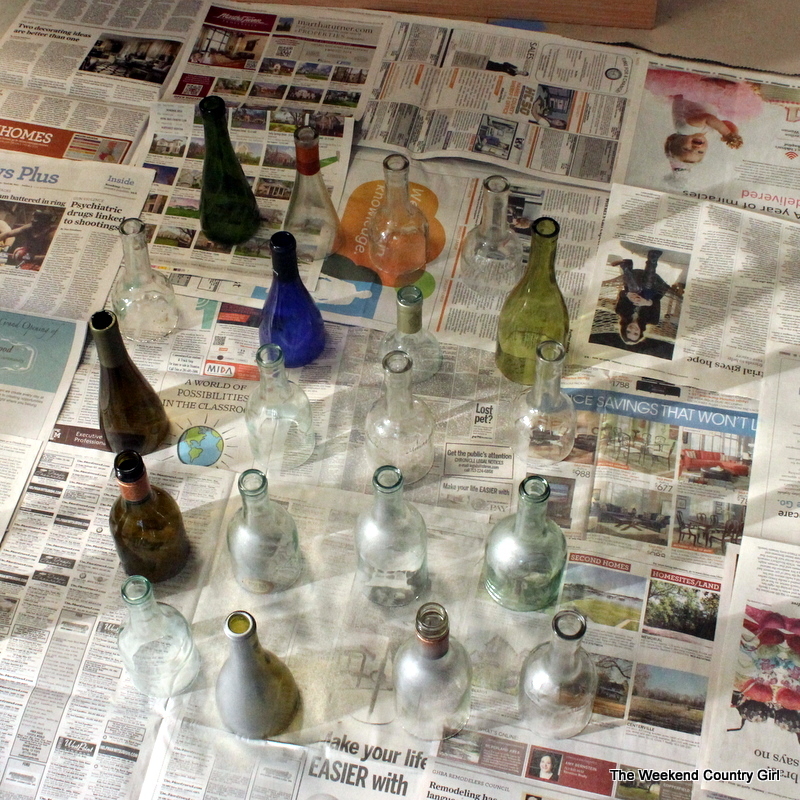 We own the bottle cutter and have used it to cut down jars, bottles, and now wine bottles. 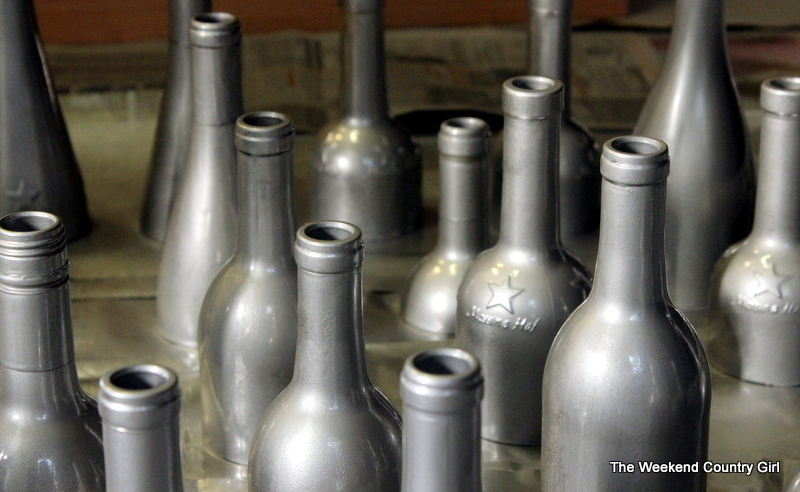 The bottle cutter is available online. We got ours on Amazon. 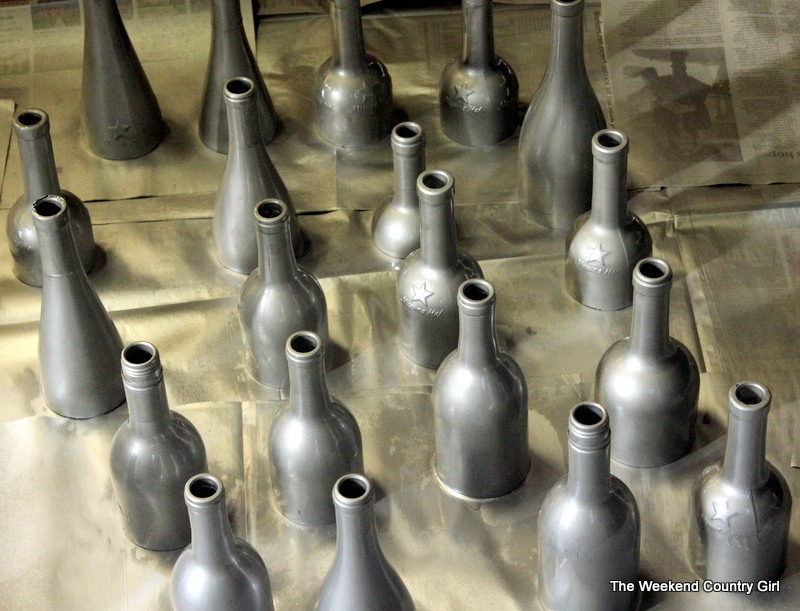 Next I spray painted all the bottles silver. The next thing was to put in corks and cut a slit in the top of the corks. I used a box cutter to make the slits. I printed the table numbers from a free table number template. There are a ton out there. Here is a link to the one we used. Here they are on the bottles. I used cardstock paper from an office supply store so that the numbers would be stiff enough to stay uncurled and upright the whole night. 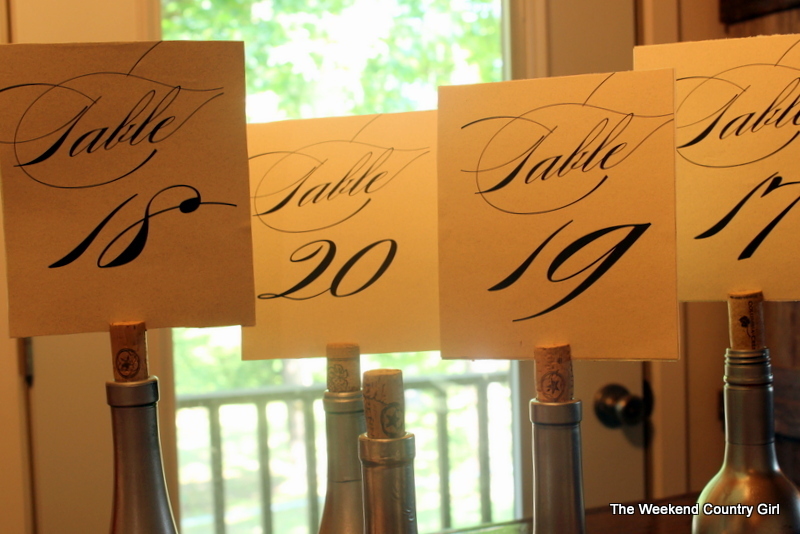 A cheap way to mark tables at a wedding or other large event.